The 365 P was a radical platform for a new design study as it was intended as a Le Mans contender. Located midship, the 4.4 liter V12 which powered this car, produced 380 horsepower, and that was in detuned form. 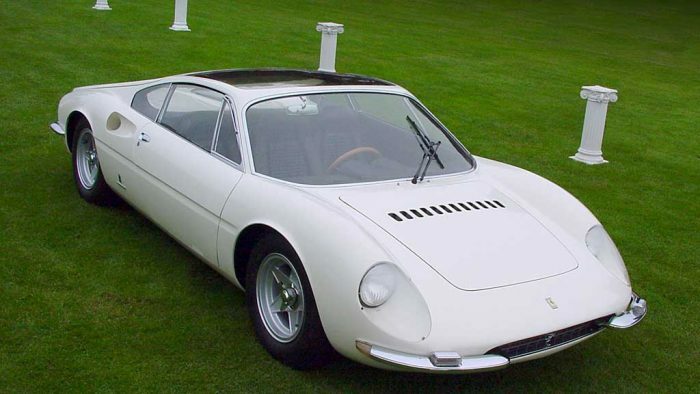 Internally at Pininfarina the car was known as Coupe Ferrari 3 Posti for its unique three seat design. 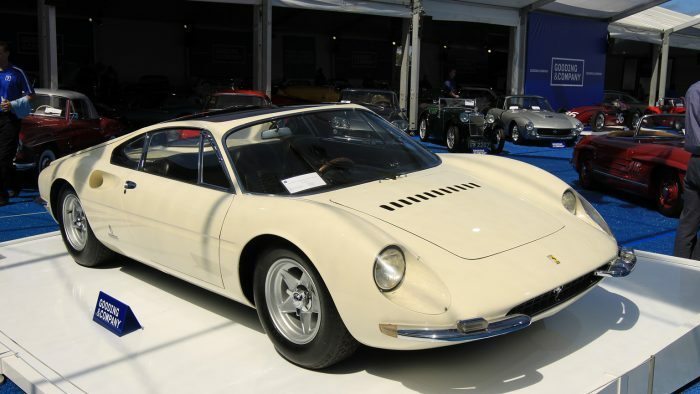 Pininfarina’s exterior design lent many traits from the Dino prototypes which were shown in 1965. Because of its numerous similaries, and hefty engine, the 365P Speciale can be seen as one of the father cars to the 206/246 production cars.